South Africa’s Great White Shark population could face imminent extinction, say researchers. A five-year study has revealed that only between 353 and 522 Great White Sharks (GWS) are still in existence along the SA coastline – and that the population could be facing extinction if nothing is done to ensure their survival. The study, which was spearheaded by the University of Stellenbosch in collaboration with Professor Sara Andreotti and Michael Rutzen, was carried out between 2009 and 2014, and used data gathered from both photo identification and genetic sample analysis. Although GWS are naturally a low density species due to their status as an apex predator, they are slow to reach sexual maturity and these numbers far undercut those needed to naturally sustain the local Great White Shark population, say the researchers. 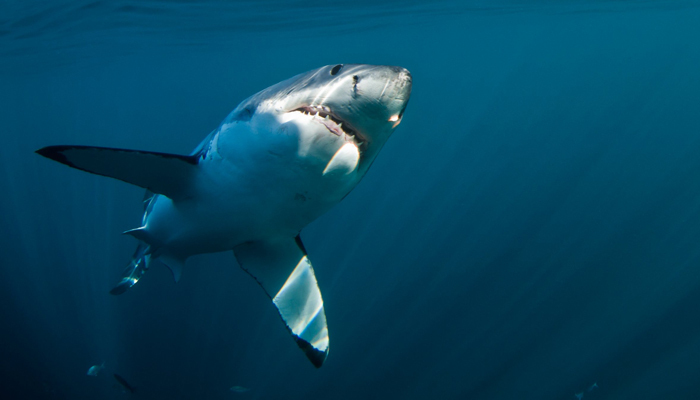 A decrease in the population of an apex predator such as the Great White sets up a vicious cycle, explained Professor Andreotti: it leads to a decrease in genetic differences and consequently, a reduction in evolutionary potential – which in turn leads back to a decrease in population. Additionally, dwindling numbers or the extinction of Great Whites could have a disastrous ‘cascade’ effect on the greater marine ecosystem, drastically affecting the numbers of secondary predators such as seals hunted by Great Whites, and in turn, the fish stocks they prey on. These shifts could have a devastating impact on the health of our oceans as a whole. GWS food stocks should be protected, including many species of fish and other sharks. The decline in GWS population stems from a multitude of reasons, including deadly gill nets and drumlines; the jaw trade; and depletion of food stocks due to finning, poaching, bycatch and commercial fishing practices targeted at other sharks. The study emphasises the need for increased protection of GWS as well as the marine ecosystem as a whole. White Shark Diving Company supports ongoing research into and monitoring of the South African shark population.